Enjoy village life in a coastal location in this extremely pretty semi detached stone cottage, with lovely furnishings and cosy fireside. 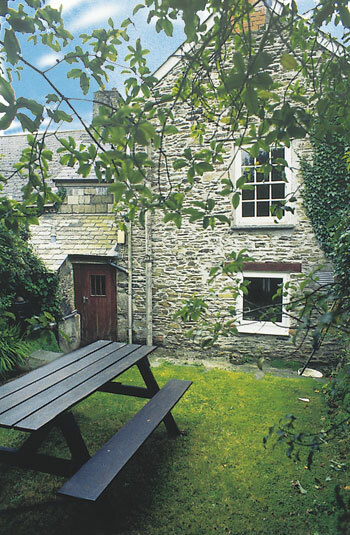 It is within easy walking distance (200 yards) of a pub, restaurant and shop/P.O. in Tregony, the gateway to the beautiful Roseland Peninsula. Only 15 minutes drive away is Nare Head's superb sandy beach. The Lost Gardens of Heligan are 10 miles away and the Eden Project is within 20 minutes drive. Truro 8 miles. An excellent base for touring this western tip of England, with superb coastal walks. Three bedrooms. Beamed sitting room with open fire. Beamed farmhouse style kitchen with dining area. Utility room. Cloakroom/W.C. First floor: Double bedroom. Two twin bedded rooms. Bathroom/W.C. (power shower over bath).